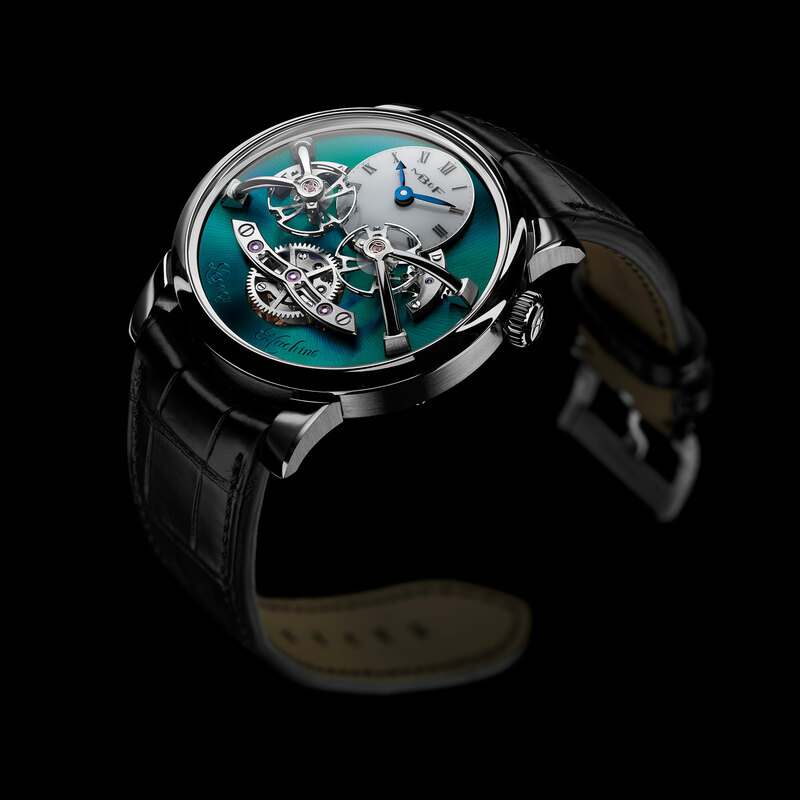 Equipped with a distinctive pair of balance wheels visible on the dial, the MB&F LM2 was first introduced in 2013, conceived as a nod to past works by Ferdinand Berthoud and Philippe Dufour that also featured twin regulators. The latest iteration of the watch is the Legacy Machine 2 Titanium, a limited edition in a lightweight case with a sea green dial. Finished with a radial brushing, the dial colour is achieved via plasma-enhanced chemical vapor deposition (PECVD), a chemical process that turns a vapour into a thin film on a surface. The same process was used to create the dark green dial on last year’s LM1 M.A.D. Dubai, a small run for the brand’s store in the Emirate. The titanium case is 44mm in diameter and 19mm high – a good part of the height is due to the high, domed sapphire crystal – the same diameter as the original version of the LM2, which was available only in gold or platinum. 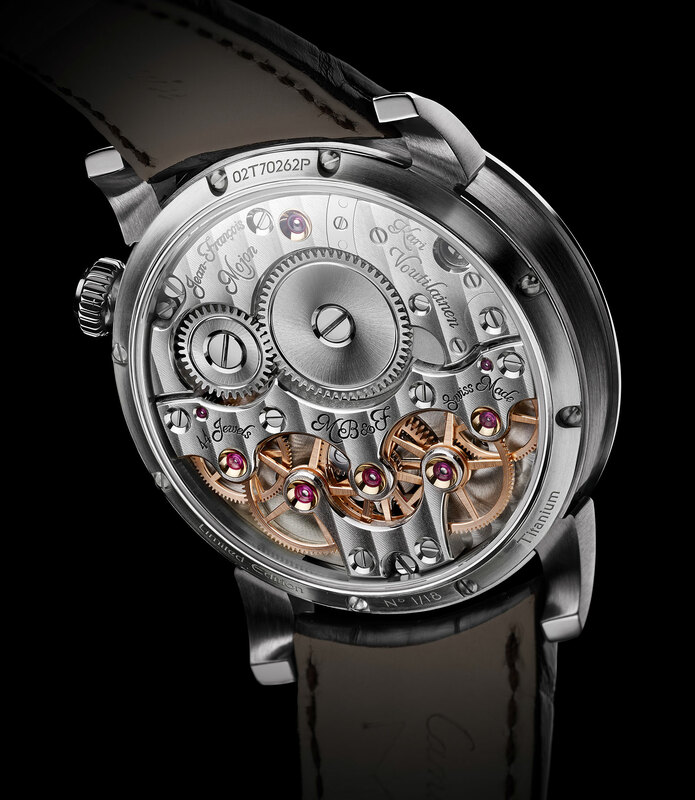 And the movement is identical, developed by movement specialist Chronode, with Kari Voutilainen recruited as an advisor for the impressive movement aesthetics and finishing. 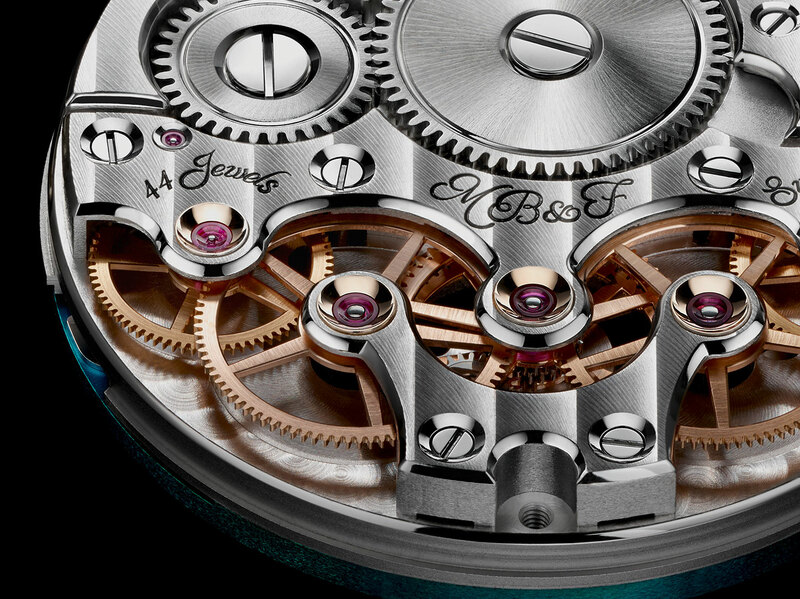 Two extra-large, 11mm balance wheels sit on the front of the watch, beating at a leisurely 18,000 beats per hour. 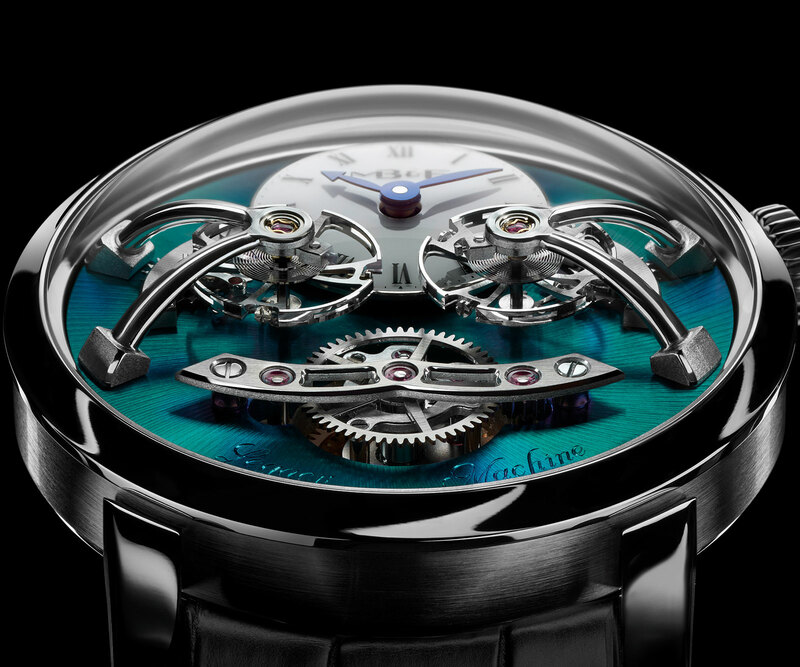 They are linked by a planetary differential that averages out the rate of each, meaning that the time shown on the sub-dial at 12 o’clock is the result of both regulators. 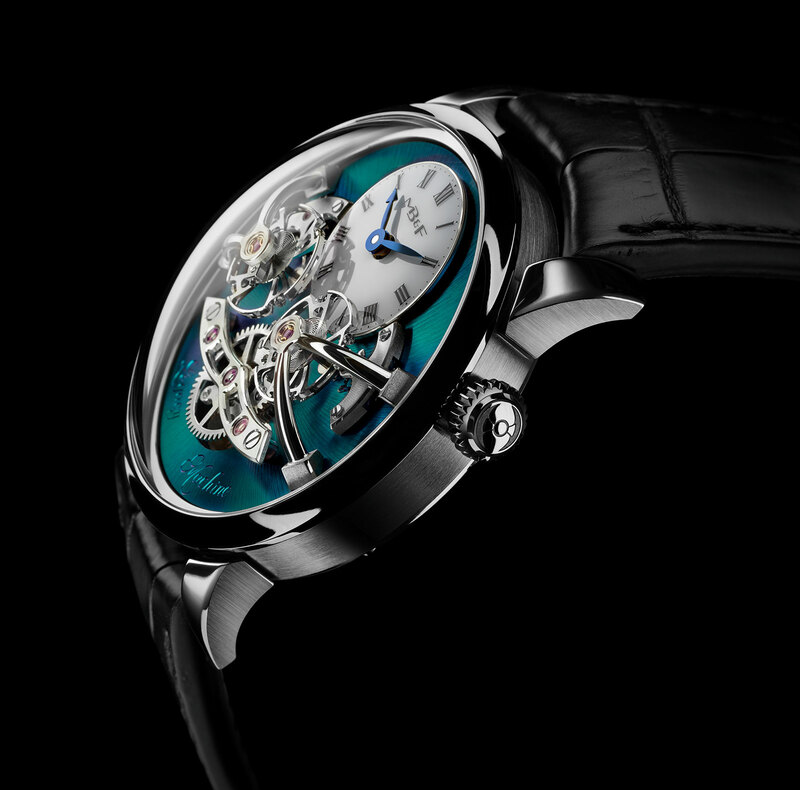 Limited to 18 pieces, the LM2 in titanium is priced at SFr138,000 before taxes, or S$226,000 with taxes in Singapore. It’ll be available at MB&F retailers and boutiques starting February 2017.